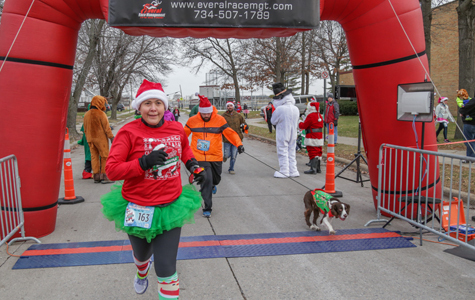 Thank You To Everyone Who Participated in 2017’s Event! 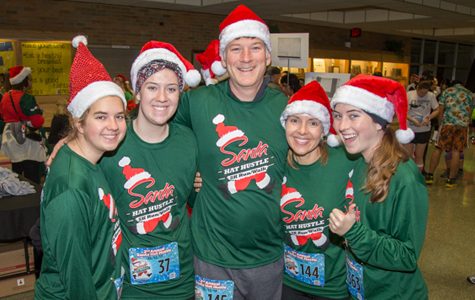 Kick-Off The Season With SE Michigan’s Holiday Tradition — The Santa Hat Hustle! 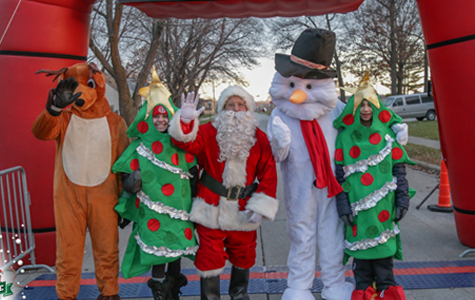 Royal Oak will be converted to a winter wonderland with Santa and all his friends, Reindeer, Snowmen, Christmas Trees & More! 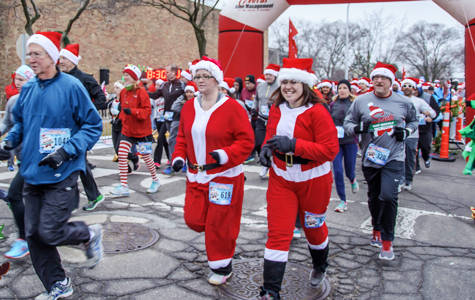 Participants of the Santa Hat Hustle receive FREE ADMISSION at the Santa Pub Crawl in Downtown Royal Oak on 12/9/17 1-6pm. Simply bring your bib to any of the 3 check-in bars (5th Avenue, Mr. B’s & Hamlin Corner) and receive your event lanyard & swag! 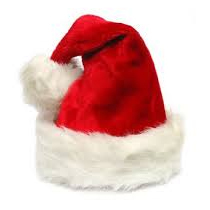 For more information visit Santa Pub Crawl. 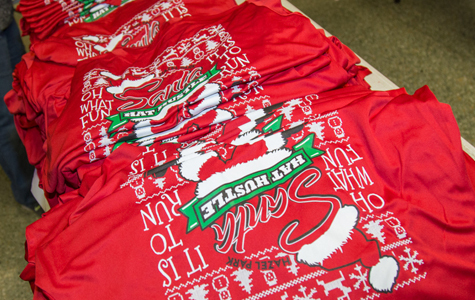 Cut-Off Date to Register & Guarantee Shirts is MONDAY, NOV 27th! 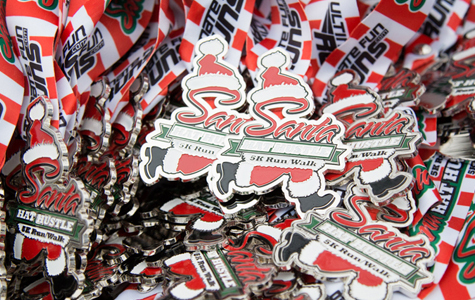 Includes: Medal, Shirt*, Bib with Timing Chip **Note: Cut-Off Date to Register & Guarantee Shirts is MONDAY, NOV 27th! 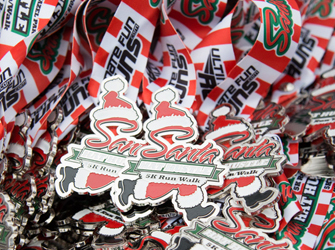 Includes: Medal, Shirt, Bib with Timing Chip **Note: Cut-Off Date to Register & Guarantee Shirts is MONDAY, NOV 27th! Accidentally Signed Up More Than Once. 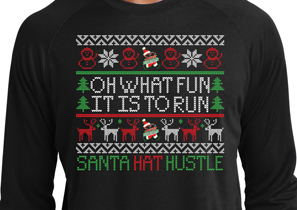 Hustlers & Dashers have a few rules they will need to follow in order to ensure everyone has a fun, and safe, experience. 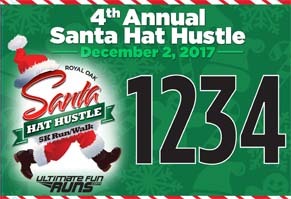 • Santa Hat Hustle reserves the right to pull any person from the race who is endangering other runners or themselves. • Bikes, roller blades, roller skates, scooters, etc. are not permitted on the course. 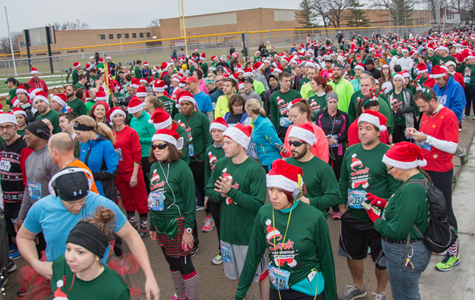 • Unregistered walkers/runners will be escorted off the course. 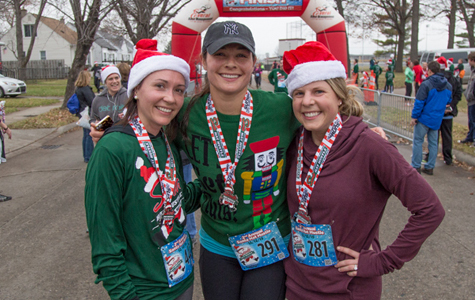 • If you plan to walk the course, we require that you line-up at the back of the race corral so as not to impede the runners. 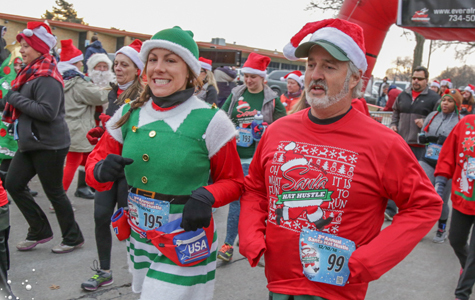 Similarly, runners/walkers with baby joggers, strollers, or dogs are asked to begin at the back of the race corral and are responsible for making sure they do not impede other participants. • Headphones are allowed, but users are asked to be cautious. The first week of December averages 30-42 degrees, but Michigan being Michigan, we urge all participants to check the weather and prepare for anything. 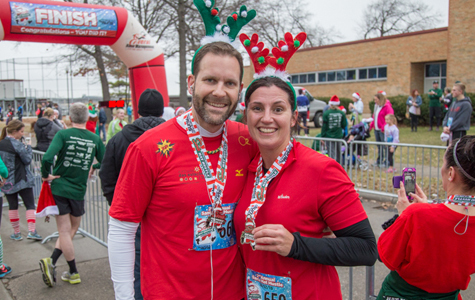 Online registration ends at 10am on Friday, December 1st. 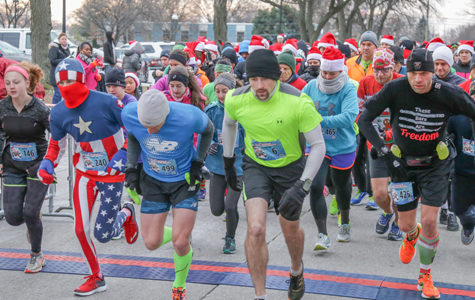 In person registration will take place prior to race time on Saturday, December 2nd from 9:00am-10:30am at the heated structure located on 5th Street between Washington & Center Streets. 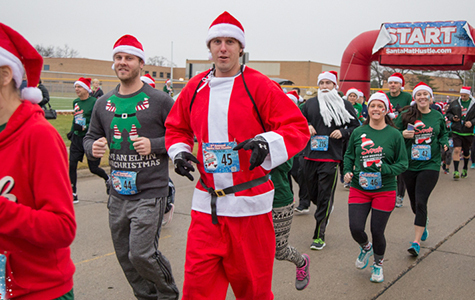 Mail-in registrations need to be received by Tuesday, November 28th. Can I Receive A Refund If I Cannot Attend? 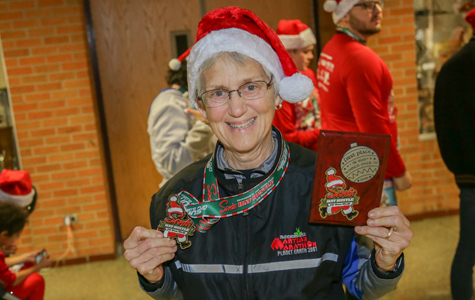 There are no age restrictions at Ultimate Fun Runs sponsored events. There are a handful of parking garages and lots, as well as street parking, available in downtown Royal Oak.